Pawnee City, the county seat of Pawnee County, is located in the southeastern corner of Nebraska on Highways 8 and 50. Legend has it that the town is on the exact spot where the largest village of the Pawnee Indians was located. The name, Pawnee, was supposedly derived from the word "pony," the Indians being known as "the tribe of many ponies." The Pawnee City historical Society has restored the home of David Butler, Nebraska's first governor. Butler's home has been designated as one of the most significant historical sites in the state. The museum site also includes 15 buildings with collections of artifacts from horse-drawn equipment and antique tractors to the world's largest barbed wire collection. A tribute to native son Kenneth S. Wherry, elected U. S. Senator in 1942 and who served as Republican leader from 1949-51, is also housed at this museum. 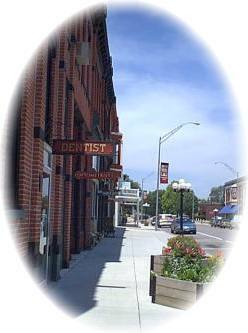 Pawnee City's six-block commercial district is listed on the National Register of Historic Places. An aggressive business community and a highly motivated and reliable workforce make Pawnee City a great place to do business. Great schools and a thoughtful approach to childhood make Pawnee City a good place to raise a family. Youngsters are allowed to grow in a peaceful and safe atmosphere where they can make the most of their abilities and talents. The Pawnee County Memorial Hospital provides medical care and assistance to the Pawnee City community. Trauma and basic health care are handled with courtesy and professionalism. The people of Pawnee City are outgoing, friendly and industrious, and proud of their rich Pawnee County heritage. Committed to the progressive development of their community, they are looking forward to welcoming you! Pawnee County has many interesting places to see which are not open except by appointment. There are animals which are of interest but again, are not easy to find except by a motorcoach tour. The Pawnee City United States Post Office is a one-story, brick Colonial Revival-style building constructed in 1940-41. While the building retains a high degree of integrity, its historical significance derives from the mural painted on an interior wall. "The Auction"
Pawnee County has 2238 acres in six Wildlife Management Areas. The county is known for its game bird population. You will find pheasant, quail, doves, wild turkeys and prairie chickens. Deer, rabbits, and squirrels also add to the activity in the county's Wildlife Management Areas.